Charles, what's the Celestial Commerce Guild's status in New York? Voltron64 wrote: Charles, what's the Celestial Commerce Guild's status in New York? One of New York City's most horrifying landmarks to traditionalists, the Glorious Commerce Embassy has joined the ranks of the Empire State Building and Statue of Liberty for recognizable traits of New York. Officially, it is the embassy of the Celestial Commerce Guild and built on a number of crumbled over skyscrapers which were evacuated during N-Day. Instead, the mile-tall building on Earth is a gigantic black monolith to gaudy materialism and wealth. Due to it's status as an embassy, there are no laws protecting it against the following: genetic enhancement, energy weapons, gladiator fights (robot and volunteer), gambling, drugs, cybernetics, prostitution (of a amazing variety), bounty-hunting, stolen goods, and robots. Pendulum and PART have both attempted to have the Celestial Commerce Guild restrict their dealings but this is so laughably against their code it's damn near impossible. There's also the fact the Celestial Commerce Guild is changing the whole of commerce on Earth. People venturing into the Glorious Commerce Embassy should note it has numerous levels ranging from safe and secure shopping to "wretched hive." There's daily robberies within by super-crooks and bad guys, which the Celestial Commerce Guild considers to be right and normal. That's not even touching the number of gunfights between street gangs and the corporate-backed authorities. This SHOULD have dulled the number of visitors but it's actually increased them. There's an air of danger to the Embassy and people think the treasures within are worth it. The Glorious Commerce Embassy is run by The Frenchman, an effete crime-boss from an alternate reality and The Blob. The Blog is more or less what you get when you combine Jabba the Hutt with a Shoggoth, practicing obscene magics in order to keep his business running. Both are completely corrupt and evil but answer to the greater Commerce Guild. The Glorious Commerce Embassy has fabulous casinos, hotels, and shopping malls built into it (making use of tesseract-properties) so that the interior of the already huge building is larger than the exterior. It's easy to get lost in the cyberpunk-esque building and quite a few New Yorkers have vanished into its ranks. On the other hand, because the Embassy is not NYC territory, it's an easy place for criminals to vanish into. It should be noted the building, itself, is a living entity made of nanotechnology. Om watches over all of its inhabitants and is capable of self-repair. The entity is nominally non-sentient but has recently developed a rather surreal personality based on 1940s Detective novels. Om is prone to leaving clues and arranging for criminals as well as suitably "noirish" individuals to meet up within its walls. It would dearly love to gain an android body based on Bogart but hasn't yet managed to find someone who is willing to finance such a peculiar project. The corporate-based security, SPIN (Security.Protection.Intelligence.Neversleep), is a mixture of the incompetent as well as corrupt. The corrupt are actually capable of doing their job, mostly made of former police officers who decided it was better getting paid three times as much for half as much work (since so much is legal within the Embassy's walls). Their corruption is primarily shaking down businesses they disapprove of and getting payoffs to make sure they recognize such things aren't tolerated LIGHTLY. They've even been known to employ superheroes, in stark contrast to their NYPD brethren, if it means solving murders or saving lives. Outside of New York, the Embassy's goods flood the streets, though local businesses and ordinances mean plenty get confiscated as soon as subjects depart (unless they pay for a secret exit out or teleportation--as most smart crooks do). Last edited by Charles Phipps on Wed Sep 04, 2013 1:47 pm, edited 1 time in total. Is the embassy a neutral/truce zone for New York's worst? Voltron64 wrote: Is the embassy a neutral/truce zone for New York's worst? Given the mall food courts can turn into Judge Dredd, not really. That doesn't mean the worst don't VISIT regularly. It's too lucrative not too. It's also the perfect place for all manner of fun heists. So it's probably the only part of post-N-Day New York that heroes couldn't (or probably wouldn't) be able to fix. I mean, it's pretty much a cyberpunk version of Looney Tunes' Wackyland, what's not to love?! Voltron64 wrote: So it's probably the only part of post-N-Day New York that heroes couldn't (or probably wouldn't) be able to fix. In the AoW home game, it's pretty much the heroes HQ. They can sit around in their superhero outfits chatting and no one can stop them! I based it on Saints Row's syndicate tower. Imagine the bottom is stuff like the Empire State Building. Another CCG question for you, Charles. This two would be very good examples of typical Guild Bounty Hunters, wouldn't they? Last edited by Voltron64 on Sat Oct 12, 2013 10:18 am, edited 3 times in total. Voltron64 wrote: Another CCG question for you, Charles. 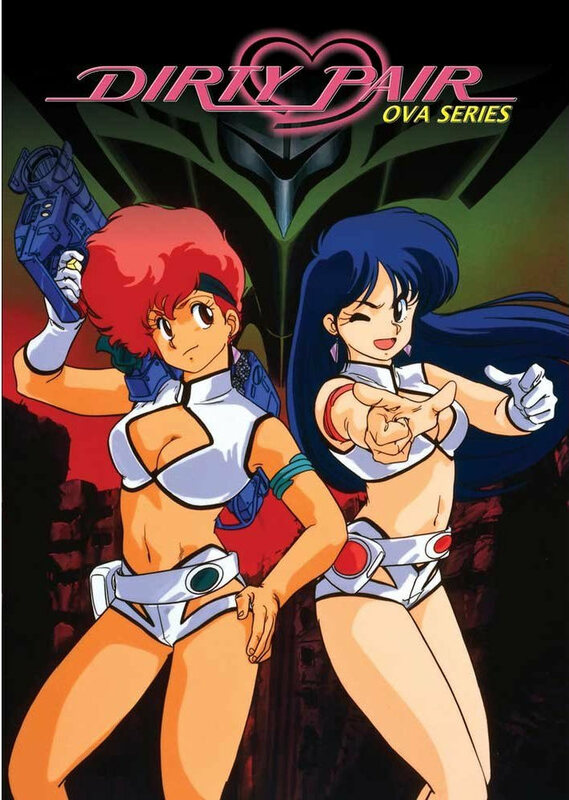 Link doesn't work but the Dirty Pair are a pretty typical band of them. Amusingly, they also semi-inspired Freelancer and his sister (along with Hansel and Gretel: Witch Hunters). Charles Phipps wrote: The corporate-based security, SPIN (Security.Protection.Intelligence.Neversleep), is a mixture of the incompetent as well as corrupt. The corrupt are actually capable of doing their job, mostly made of former police officers who decided it was better getting paid three times as much for half as much work (since so much is legal within the Embassy's walls). Their corruption is primarily shaking down businesses they disapprove of and getting payoffs to make sure they recognize such things aren't tolerated LIGHTLY. They've even been known to employ superheroes, in stark contrast to their NYPD brethren, if it means solving murders or saving lives. Wow, when corrupt police are actually good law enforcement and apparently good people, you know the place is crazy. Although again, you might think otherwise, Mr. King highly approves of what the competent in SPIN are doing. To the flabbergasted, he points out that all the atrocious businesses (that are both morally/illegal so) on Earth are untouchable in the Embassy by the fact it is a hyper-free trade zone. "When THE LAW is profaned, and money is the only law there, bring JUSTICE to the money!" yeah, pretty much how I imagined it. "Hitting their wallet is worse than their hearts." Freelancer (real name: Clint Eastwood Wilson) and Driver (real name: Elizabeth Taylor Davidson) are a pair which exemplifies the "punch clock villain" mentality of bad guys in New York City. Whereas other cities have supervillains motivated by fame or psychopathia, the brother and sister duo are purely interested in cash. As a result, they have found themselves in the employ of dozens of supervillains over the years. They even have literal card-carrying membership status in the Octagon. Freelancer is the good-looking, quiet, and professional one of the trio who is possessed of technopathia equal to Doctor Justice. He's capable of creating virtually any conceivable gadget or taking control of others, though none of his devices can be created twice. The fact few people note the leather-jacket Ryan Phillipe-looking guy as an egghead works to his advantage. He's particularly fond of freeze-ray or other Silver Age goofy gadget weapons. Driver, by contrast, is a woman who possesses a unique ability. She is capable of exerting the same kind of force and control as your typical speedster but is only able to do so within a car, truck, motorcycle, or other vehicle. As a result, many jobs have been completely ruined due to her chase abilities. She is a lovely woman with long dark hair and ringlets but has a tremendous love of fighting, typically done from her customized motorcycle or (I kid you not) rollerblades. Freelancer and Driver will work any job with the exception of ones which involve children or slavery. They prefer to keep things bloodless but like most professional criminals, don't particularly get upset when their partners are doing the killing. The two have been involved in bank robberies, burglaries, shoot-outs, kidnappings, smuggling, and even legitimate bounty-hunting work when the mood takes them. Wherever there's a profit to be made, the two are willing to do the job. It's a shame Sierra Leone has ruined it for them. The corrupt brother and sister pair (actually second cousins) have one client they have no particular love for. Unfortunately, he controls 90% of the city's underworld. The couple used to be a trio with their good friend Benny handling most of the meetings for them. When Flashpoint, New York's time-based renegade hero, screwed up a mission--Sierra Leone decided to make an example of Benny. Little did he realize the two would take it so personally. Benny was gutted like a fish and left for the duo to find as a warning. As a result, the clock is ticking on Driver and Freelancer as they've made it a personal effort to accept any job which threatens Sierra Leone's business enterprises. They've even helped the Organization, against their better judgement, resulting in heavy casualties amongst some of Sierra Leone's heavy hitters. The two have no interest in assisting cops or PART, both for professional ethics and because they escaped one of the latter's holding facilities, but might be willing to assist superheroes interested in unconventional methods of harassing their foes. Unfortunately, Freelancer and Driver are too small a fish to actively impede Sierra Leone's empire in any real manner. All they've done to him, so far, is make themselves an irritant. It won't be long until Sierra Leone doubles, triples, and quadruples the bounties on their heads so that some real muscle is interested in taking them down. Then the crime-committing duo is doomed. Have any heroes along the lines of the Order, Blue Centurions, or the Phoenix Force 7 ever had any adventures in NYC? And have their connections to PENDULUM and other agencies allowed to occasionally push aside some of the restrictive anti-super laws? Another question, is Subdirector St. Claire aware of the corruption inside both PART and the city's government and law enforcement? And is Sierra Leone clutching his hands onto PART as well? Voltron64 wrote: Have any heroes along the lines of the Order, Blue Centurions, or the Phoenix Force 7 ever had any adventures in NYC? 1. The Order has very little impact on New York City's affairs as the one time their battle did spill into it, they were crippled by the potential danger to civilians and spent much of their time rescuing people until they could get out. Mister Arcane regularly visits with the magical underground in the city and consults with Pendulum's operations in the city. Since the Netherworld Syndicate's HQ is in New York, he's very active and cautious. Likewise, Mister King visits New York for numerous fun "Deathwish" missions. However, the Order as a whole doesn't visit the city. Moonatic has a somewhat active fanbase there as well, which always confuses the Order as they think of him as a B-lister but he seems to have fans in every city. The Blue Centurions are one of the few superhero teams to have any traction in New York City after the destruction of the Trixsters. They protected the Statue of Liberty from destruction, exorcised a bunch of ghosts from an evil painting (w/ Dan Akroyd and Bill Murray''s help), and stopped Terrasphere from destroying the city. These actions did a lot of good for the reputation of superheroes in the city and reversed about half of the damage done to the reputation of heroes. Individually, all members of the Blue Centurions have licenses to operate in the city. Phoenix Force Seven often visits the city but not on missions of superheroism but as scientific consultants to The Institute. The Institute being NYC's resident home of mad science. While the PF7 remain relatively popular, the Institute is recovering from the fact a good number of its former members went mad and became a series of Spiderman-esque techno-villains. It's current head and unlicensed vigilante, Phoenix Girl, is trying to stop them all. Deathseeker has had many fights in New York, which helped lead to his bad reputation. Ironically, it was usually to prevent something MUCH nastier from killing many more people. Think of it like Optimus Prime and Megatron's fight in the Transformers movie--Optimus is trying to keep the other from stomping people. 2. Pendulum-empowered superheroes can operate as COPS within New York City but not SUPERHEROES. Which is a fine distinction and one which many are unable to do much about. However, they don't just toss you out on your bum if you enter the city. Also, NYC's metahumans aren't arrested outright, just have to have numerous licenses to live in the city as well as sign forms which promise they won't use their abilities if they're dangerous lest they be criminally prosecuted. Quite a few are okay with this. Phoenix Force Seven Charles. There are seven of them, since Dr. Justice and Sailor Cosmos joined.